PanCare is a multidisciplinary pan‐European network of professionals, survivors and their families that aims to reduce the frequency, severity and impact of late side‐effects of the treatment of children and adolescents with cancer. The long‐term strategic aim of PanCare is to ensure that every European survivor of childhood and adolescent cancer receives optimal long‐term care. 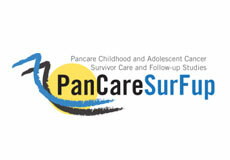 PanCare Childhood and Adolescent Cancer Survivor Care and Follow-Up Studies is a consortium of 16 European institutions, funded by FP7, to carry out research studies into late effects of treatment for cancer, to establish guidelines for follow-up, and to disseminate the results and provide training and workshops for stakeholders. The benefit is to provide every European childhood cancer survivor with better access to care and better long-term health. 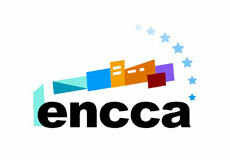 ENCCA is an FP7-funded project that aims to efficiently structure and enhance collaboration within the field of paediatric oncology in Europe. To achieve this mission, ENCCA will limit knowledge fragmentation and improve communication channels by bringing together existing informal paediatric and adolescent oncology clinical trial groups, integrating all relevant stakeholders, their expertise and viewpoints to ensure that the project is all-encompassing while remaining patient-centred. Finally, ENCCA will also create a sustainable "European Virtual Institute" for clinical and translational research in childhood and adolescent cancers. The European Society for Paediatric Oncology (SIOP Europe or SIOPE), is the only pan-European organisation representing all professionals working in the field of childhood cancers. With more than 1,200 members across Europe, today SIOPE is leading the way to ensure the best possible care and outcomes for all children and adolescents with cancer in Europe. St. Judes’ Childhood Cancer Survivor Study provides a dynamic framework and resource in which to investigate current and future questions regarding consequences of therapy, genetic associations, disease processes and causation, interventions, and quality of life among childhood cancer survivors. We invite interested researchers to browse the website. The in­for­ma­ti­on por­tal www.kin­der­krebs­in­fo.de was initiated by the So­cie­ty for Pa­ed­ia­tric On­co­lo­gy and Haema­to­lo­gy (GPOH). The site is run by the Com­pe­tence Net­work Pa­ed­ia­tric On­co­lo­gy and Hae­ma­to­lo­gy (KPOH) and cur­rent­ly fun­ded by the Ger­man Child­hood Can­cer Foundati­on. Pre­vious fi­nan­ci­al sup­por­ters we­re the Ger­man José Car­reras Leu­ka­e­mia-Foun­da­ti­on, the Ger­man Fe­deral Mi­nis­try of Health and Re­se­arch (BMBF), the "Tour of Hope" and the Cha­rité-Uni­ver­si­ty Me­di­ci­ne Ber­lin, Germany. Je­des Jahr er­kran­ken in Deutsch­land ca. 2.000 Kin­der und Ju­gend­li­che an Krebs. Die Hei­lungs­quo­ten lie­gen je nach Er­kran­kungs­art bei 70 - 95 Pro­zent. Die not­wen­di­gen The­ra­pi­en (u.a. Ope­ra­ti­on, Che­mo- und Strah­len­the­ra­pie) kön­nen Spät­fol­gen ver­ur­sa­chen, die im Rah­men des Pro­jekts VI­VE nä­her un­ter­sucht wer­den. Da­zu wer­den die ehe­ma­li­gen, jetzt er­wach­se­nen Pa­ti­en­ten mit­tels Fra­ge­bo­gen in ei­ner um­fas­sen­den Ba­sis­er­he­bung be­fragt: nach (psy­cho-) so­ma­ti­schen Spät­fol­gen, ih­rem jet­zi­gen Ge­sund­heits­zu­stand und ih­rer Le­bens­qua­li­tät. ExPO-r-Net is a 3-year project that will build a European Reference Network (ERN) for Paediatric Oncology. ExPO-r-NeT aims to reduce the current inequalities in childhood cancer survival and healthcare capabilities in different EU Member States. The EURO EWING Consortium – International Clinical Trials to Improve Survival from Ewing Sarcoma (EEC project) is a coalition of clinical study groups bringing together the most active clinicians and scientists in Europe dedicated to improving survival from Ewing Sarcoma. This initiative will support an integrated programme of investigator-driven, inclusive clinical trials that are rigorously designed, conducted, analysed and reported, and underpinned by complementary embedded translational research. The EEC will provide ES patients with greater access to clinical trials, allow efficient acquisition of knowledge and deliver clinically meaningful results within 5 years, thereby contributing to improved survival from ES. euroSARC is an FP7-funded project that gathers world class European expertise in the field of sarcomas. The goal of euroSARC is to address major academic questions arising in some rare histological and molecular subtypes of soft tissue and bone sarcomas - in localized and metastatic settings - by developing and conducting investigator-driven clinical trials, supported by translational analysis. 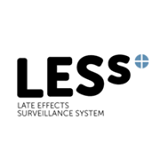 Late Effects Surveillance System (LESS) is a project for followup care after cancer in childhood and adolescence in Germany.